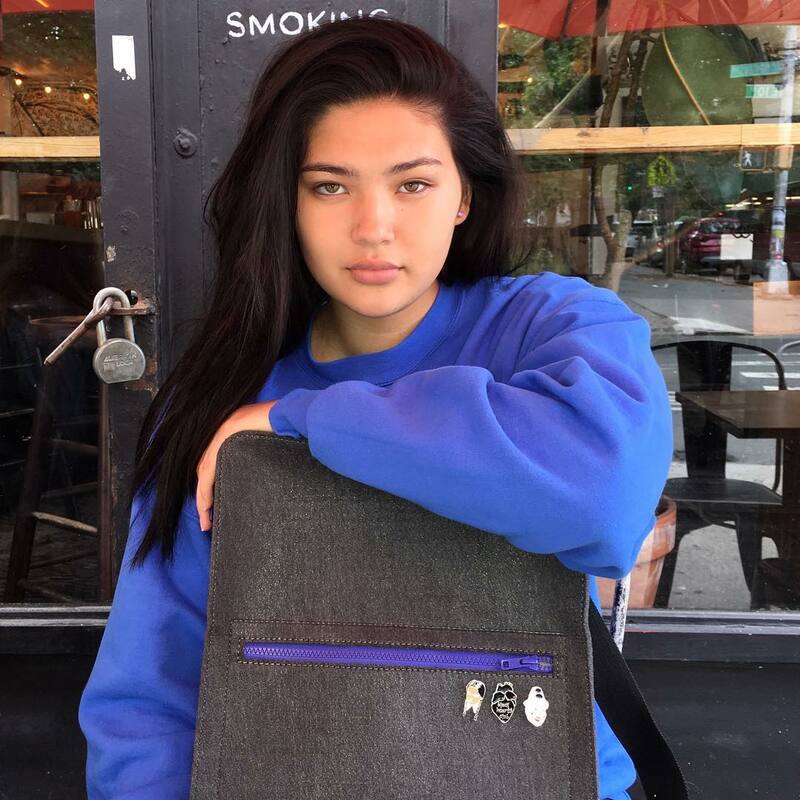 Earlier this month, 16-year-old Natalie Nootenboom made history when she became the first plus-size model to walk in the Anna Sui show during New York Fashion Week. 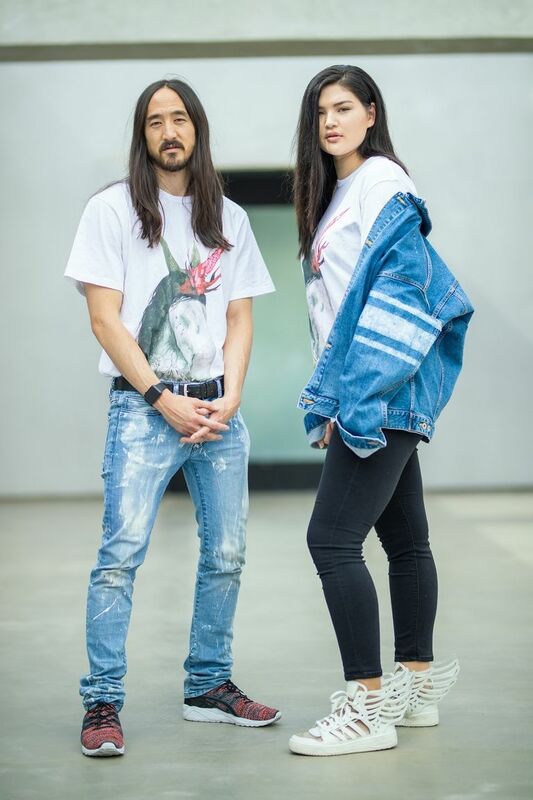 The 5’11, half Japanese model and niece to DJ Steve Aoki was once bullied for the very traits that have made her a standout in the modeling industry: her long dark hair, full lips, green eyes, and distinct Asian features. Aside from making her runway debut this fashion week, Nootenboom has also done work with Charlotte Russe and Beyond Yoga. Here, she talks to『ELLE』about walking Anna Sui, breaking into modeling, and the impact she hopes to have on the industry. 『ELLE』: How did you end up in the modeling industry? You recently walked in Anna Sui’s show during NYFW. What did it feel like to be the first plus-sized model to walk in her show? It was uncomfortable at first. Being the first of anything requires a little uncomfortability. When I walked backstage, a lot of people assumed I was on crew because they had never seen a plus size model walk for Anna Sui. A lot of the other models were well known, and they had a lot of press. The photographers didn’t know who I was. I thought it was a very magical experience, and I’m so honored that she chose me to be the first plus size model. Has the body positive movement that we’ve seen transpire over the last five years helped you learn to embrace your body? Absolutely. I think entertainment is the number one leading force these days. I’m not just a model, I'm an ambassador for women and for body image. I think that the more plus size models are out there and the more that they are incorporated into the media I think that it’s so much easier to accept your body and see people representing different body types. Do you think the fashion industry could do a better job of being more inclusive? Yeah, definitely. I mean men’s plus size models are coming out, and I think that’s great. The more that we can expand the more power we have. There’s almost like this army fighting against judgment and saying, “Let’s not be judgmental. Let’s be accepting.” And that’s one of the goals. And my goal is to help open the industry’s mind on things like NYFW and being included in shows that wouldn't necessarily use plus size models. The more that I work and put myself out there, the more that I can help people see that judgment is not the answer, acceptance is. You’ve said you look up to your uncle, Steve Aoki, because he broke Asian norms with his music. Do you hope to do the same with modeling? One of my dreams is to be on the cover of magazines one day and do international work as an Asian model like what my uncle, Steve Aoki, does with music. I want to break stereotypes of beauty, size, ethnicity and just be a role model for women all over the world and any age. Stereotypes are dangerous. People that are very closed-minded will look at stereotypes and be like, “Oh, those are the only Asians that exist; there are no plus-size Asians,” and that’s dangerous. The more that I work and put myself out there, the more that I can represent and open people's minds and help people see that judgment is not the answer, acceptance is. Absolutely. Traveling is exhausting so I have to be on top of my diet, what I look like, make sure my skin is clear and [I] have time to work out. But what it’s like is I’m in between two worlds. There’s a part of the world that says, “Oh she’s not big enough to be plus-size and represent that.” And then there’s the other side of the spectrum that’s like, “ln order to be healthy and beautiful, you have to be skinny and so you’re too big.” And I’m in-between them saying beauty is sizeless. It’s not about if I’m big enough to represent plus or if I’m too big to represent beauty. Your uniqueness is what makes you remembered. What is your advice to women and girls who are constantly looking in the mirror and hating what they see in the reflection? I would tell a younger version of myself this: don’t spend so much time trying to be somebody else, find yourself now. Because for a long time I would spend hours on YouTube looking at videos like ｢How to look like Megan Fox｣ and the reality is even if you did look like Megan Fox, you are still you. Look for yourself, find yourself, love yourself. It’s a journey, trust me. There’s days that I wake up in the morning and the confidence just isn’t there and you have to remember who you are. Aside from being a body-image advocate, what other issues are you passionate about? I’m a huge anti-bully advocate because I was bullied when I was a kid for being Asian and tall. I had a very hard time in school. I want to get that message out there to anyone that is struggling being bullied that your uniqueness is what makes you remembered. And the very thing I was bullied for when I was younger is the very thing that is helping me encourage others. Use your differences for good, don’t listen to bullies, rise up, build your own army, and build your own kingdom.